Regardless of the repugnance aroused by IS’s sensationalist and lurid beheadings, worse villains abound in our region. Iran with its nuclear ambitions is foremost one, even though the White House is poised to appease Tehran’s ayatollahs without disarming them. Syria’s Assad regime, until recently the side the world most loved to hate in the internecine civil strife, hasn’t lost any of its inherent nastiness just because IS has emerged as uniquely barbaric. And propping up Assad is the Shiite Hezbollah of Lebanon, whose menace to Israel has only grown by leaps and bounds despite its absence from the front pages. The subtext is quite clear. Transfixing as their macabre excesses may be, the jihadists have not to date attacked Israel. Here it needs be noted that the border area straddling the Golan’s Syrian side is mostly controlled by the Jabhat al-Nusra subsidiary of al-Qaida, as distinct from the indisputably more notorious IS. Nevertheless, those volleys fired into Israel in past months – not all of them by any means stray shells – almost always came from pro-Assad encampments, i.e. from Hezbollah forces. These forces continue to mercilessly batter the Syrian population, which is concomitantly also pounded by the Jihadists. Israel thanklessly sends humanitarian provisions to the refugees (including food, fuel and clothing) and offers medical aid to all Syrian casualties regardless of their affiliation. Although, in the immediate offing there is little risk of a Hezbollah offensive against Israel – as it’s deeply embroiled in the Syrian conflict – Hezbollah remains a formidable foe as far as Israel is concerned. More than anything, Hezbollah operates as an Iranian proxy and its Lebanese and Syrian enclaves are for all intents and purposes Iranian outposts in Israel’s closest proximity. Hezbollah, moreover, is just as prone as the Sunni Hamas in Gaza to use civilians as human shields to deter Israel from using its full deterrent capabilities in the event of conflict. 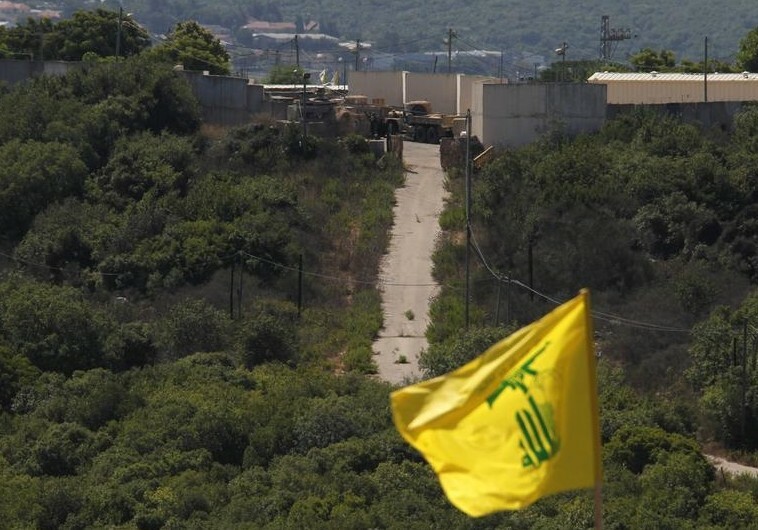 In the past Hezbollah has physically prevented southern Lebanese noncombatants from fleeing up north in order that their presence would paralyze Israel’s military response. But it gets worse: the Hezbollah weapons arsenals are incomparably larger than Gaza’s and comprise far more powerful assortments – all supplied by Iran under the noses of UN supervisors. That, along with the battlefield experience garnered in Syria, makes Hezbollah “many times more dangerous” than Hamas ever was or could be, according to Maj.-Gen. Ya’ir Golan, the IDF’s outgoing OC Northern Command. He further warned that Hezbollah stockpiles include heavy missiles and that because of the quality and quantity of what Hezbollah has been allowed to harbor, it would be wrong to expect the same degree of defensive cover as Israelis could count on last summer in both the southern and central regions. Hezbollah’s Iranian missiles differ substantially from Gaza’s rockets and Hezbollah caches and launching pads are closer to population centers, giving shorter warning time. The bottom line is that while world opinion is mesmerized by the ghoulish hijinks of Islamic fanatics, it loses sight of Iran’s threat, which in every respect surpasses the IS potential for evil. The sporadic bombings in Syria and Iraq, as well as America’s capitulation to Iran at the negotiations table, all point to the fact that the international community – perhaps a bit too expediently – has allowed itself to carelessly overlook fundamental perspectives. This is a luxury Israel cannot afford. Obama is the ***ONE***, who tries to help Iran to get the bomb !!!!!!!!!! ***THAT*** IS THE BIGGEST DANGER FOR ISRAEL AND FOR THE REST OF THE CIVILISED WORLD ! The immediate danger for Israel is that everyone knows that Obama has 2 years left as President and Israel’s foes are best off acting against Israel in force during those 2 years whilst he’s still the president. “Fundamental Perspectives” is a timely and expertly stated reminder of the existential dangers the State of Israel faces 24/7, every day of the week, every week of the year. The challenges from Gaza are nothing compared to the exponentially more dangerous challenges that are emanating from Israel’s Northern borders. Indeed every encounter with Gaza could have been dealt with in a fraction of the time had the IDF not been forced to fight with one arm tied behind its back- that is to say, the desire of the IDF not to harm more civilians than absolutely necessary. The enemies of Israel are quite aware of this firm policy on the part of Israel and indeed, count on this IDF policy to make attacking Israel easier. Israel’s enemies never fail to shout from the rooftops when even a single so-called “innocent civilian/bystander” is harmed by the IDF. The truth from the perspective of history is that during WW II, the American Military never hesitated to use its full arsenal of military might to weaken and ultimately destroy its enemies. Large swathes of Japan’s cities, where the majority of the houses were constructed of wood and even paper were easy targets to set alight with fire bombs and turn into burning infernos. And who can forget the Bombing of Dresden which created fire storms of such incredible magnitude that the oxygen was literally sucked out of the air and many of the 100,000 who died during the Bombing of Dresden died of suffocation. Of course the use of the Atomic bomb, not once but twice, represented the last and most violent extreme of military might used against an intransigent enemy “to get the message across”. It has been said that at the height of the Yom Kippur War, when it appeared a real possibility that Israel might truly be overrun, the Arab onslaught being so great, that Golda Meir ordered that Israel’s ultimate weapons be readied and placed on standby to be used if all else failed. I used to be in the vicinity of the original World Trade Center Towers quite frequently and often considered if it were possible a plane might ever fly into one of the Towers. But I would quickly dismiss that idea as a most unlikely possibility. But on “911” I watched in total astonishment, from my 27th floor apt. windows as the Towers went down leaving an immense, gaping hole in the Manhattan skyline. From that perspective I now realize that literally anything is possible, even the enemies of Israel being impulsive and naively foolish enough to push the State of Israel to a point where Israel believed it had no other recourse other than to utilize its ultimate weapon/s to protect its people and its very existence. Israel’s enemies are convinced that Israel would never do such a thing, betting that the massive amount of negative International political fallout would prevent such an event from taking place. That is a bet which one day the enemies of the State of Israel will definitely lose. The missiles in Lebanon will be used, otherwise they would not be there. They are not there defensively. Time is not on Israel’s side and the longer the can is kicked down the road, the heavier it gets. “World Opinion” does not pose an existential threat to Israel. Iran and Hezbollah do. But “liberal” Jews in the diaspora still insist that Israel must “end the occupation” to turn “world opinion” around. aids and abets our enemies and undermines Jewish solidarity. Prominent among the handful of articulate realists is, of course, Sarah Honig. We must all be deeply grateful to her for indefatigably defending OUR human rights.